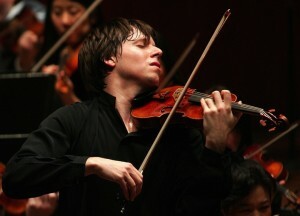 JOSHUA BELL, VIOLIN Sam Haywood, Piano Beethoven Violin Sonata No. 4 in A minor, Op. 23 Prokofiev Violin Sonata No. 2 in D Major, Op. 94a Intermission Grieg Violin Sonata No. 2 in G Major, Op. 13 Additional works to be announced from the stage Tickets available, here.